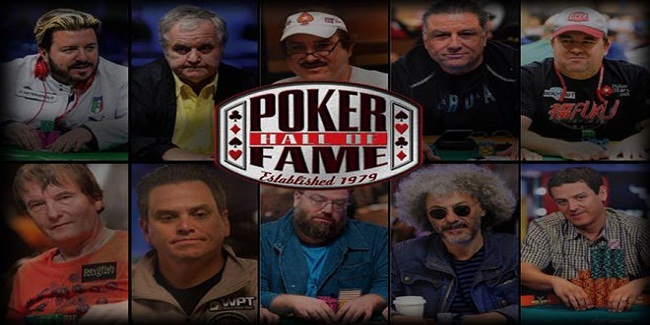 WSOP unveiled finalists for poker Hall of fame for the year 2016. Three new players have been nominated, while seven previous finalists make up to the 2016. The three new players added in the final list are Eli Elezra, Todd Brunson and Chris Moneymaker. Rest of the seven players includes Bruno Fitoussi, Chris Bjorin, Massimiliano “Max” Pescatori, Matt Savage, David Ulliott and Carlos Mortensen, while another player named Humberto Brenes is being selected in the final list of poker hall of fame for the year 2016. Brenes is a previous year’s nominee, but got his seat booked to this prestigious final once again. Now as the final list is out, it would be submitted towards the 25 living members of Hall of Fame and 20-person media panel. Only these 45 members will cast their votes for induction of a maximum of two players to the poker Hall of fame. 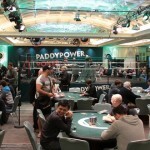 The ceremony will take place as part of the November Nine main event final table festivities. A total of 50 members have received the honor to become a Poker Hall of famer (out of which only 25 are living), since its establishment back in 1979.The title is being acquired by Harrah’s Entertainment with WSOP in 2004. Chris Bjorin is one of the top professional poker players in the world, who has won an amount of $5.5 million in his poker career. The player was born in Sweden, but currently resided in London, United Kingdom. 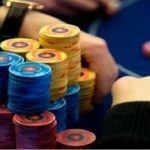 The 68 year old player has two World Series of poker gold bracelets in his inventory and is at sixth position in all time money lists as per WSOP. One of the three new players, who becomes a nominee of the prestigious final list is a pro poker player from the Las Vegas, United States. He loves to play the game more than anything else. He is the son of a great poker player and Poker Hall of Famer as well i.e. Doyle Brunson. Brunson has 52 WSOP cashes and a gold bracelet along with him, while his total earning from the various tournaments is nearly $4.3 Million. The new member of the final list is a 55 year old pro from Israel but currently lives in the Las Vegas, United States. Elezra is mostly known for his high stakes play in poker circle. He has three World Series of poker gold bracelets and 52 WSOP Cashes with him, while total earnings for the player, playing at different WSOP tournament are more than $3 Million. Humberto Brenes is a 65 year olf professional poker player from Costa Rica. People call him “The Shark”, because he loves to eat his opponent’s stacks. With a good $6 Million of career winning, he is in the game for last 25 years. The 47 year old pro and a tournament director from San Jose, California is a very well known personality in world poker. He has been through many poker tournaments and has directed tournaments all over the world and at different casino places. 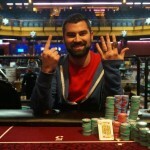 Savage currently holds the position of tournament director at Bay 101 Casino in San Jose. Chris Moneymaker is a professional poker player from the United States, who created history by winning most of the money, while playing at World Series of poker in 2003 at the age of 27. He then won the championship title and a whooping cash prize of amount $2.5 million. Total earnings for the player with 71 cash and different poker festivals are now $3.6 million. David Ulliott was a famous poker player from the United Kingdom. He is no more in the physical world but his legacy on poker will be forever. Britain’s most popular player won a WSOP title, world poker tour title and more than $6.2 Million of cash in his poker career. A 57 year old poker player from France is the one of the best players in the world. The Frenchman introduced Texas Hold’em into France in 1995. Total earnings for the player is now exceeds to $2.8 million. He has won many world level poker championship titles. Fitoussi was the runner up of the world series of poker $50,000 Poker Players championship back in 2007. The 44 year old professional poker player is originally from Spain but now residing in Las Vegas. 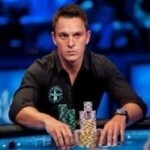 He is certainly one of the best poker players in the world today. He has won WSOP Main event championship back in 2001. He has done really well at world poker tour’s hosted tournaments and has earned more than $6.8 million in WPT, while collected $3.1 million playing at WSOP tournaments. Not only this, but the players life time earning is crossing $12 million mark now in 2016. Pescatori is a 44 year old pro poker player from Italy. He has four WSOP Gold bracelets and many other championship titles to his name. Life time earnings for the player are nearly $4.2 million, which is really good and makes his the leader in Italy’s all time money earners.